Are Canada's Job Numbers Really The Best In The G7? 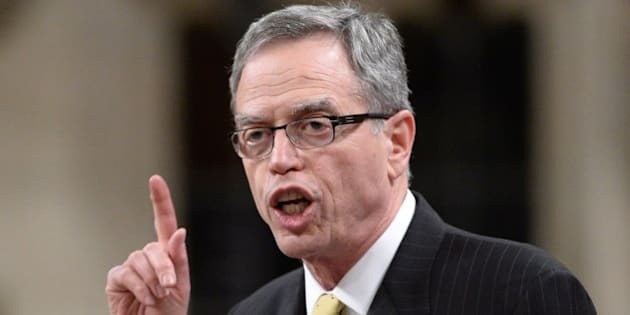 OTTAWA - "Since the worst of the recession in July 2009, our government has created over 1 million net new jobs. This is the strongest job growth over the recovery among G7 countries." The Conservative government of Prime Minister Stephen Harper frequently claims Canada leads the G7 in the number of jobs created since the low point of the global recession. But newly released figures from the Organisation for Economic Co-operation and Development suggest Canada did not fare quite as well as many — indeed, most — of the world's seven wealthiest economies. This one earns a rating of "some baloney" — the statement is partly accurate but important details are missing. Here's why. The Paris-based OECD's latest quarterly employment numbers (found at http://www.oecd.org/std/labour-stats/QES-0414.pdf), show Canada's employment rate between the second quarter of 2008 and the fourth quarter of 2013 fell 1.3 percentage points to 72.4 per cent. By that measure, Canada's performance is actually the fifth-best in the G7, trailing Germany (up 3.7 points to 73.5 per cent), Japan (up 1.3 points to 72.2 per cent), the United Kingdom and France (both down 0.6 points to 71.2 per cent and 64.2 per cent, respectively) but ahead of Italy (down 3.3 points to 55.5 per cent) and the United States (down 3.8 points to 67.4 per cent). Many economists believe the employment rate is a better indicator of the health of the labour market than the raw number of new jobs. That's because the employment rate takes into account that in many countries, the population is constantly growing. It measures the proportion of the working-age population that actually has a job. Now let's look at the unemployment rate to see how Canada fares among the G7. But first, a caveat: While the rest of the G7 has reported their unemployment rates up to this past February, the most recent data available for the United Kingdom is from the final quarter of last year. Canada's unemployment rate ranks fourth in the G7, behind Japan, Germany and the United States. The unemployment rate doesn't provide a full picture, since it is based on the number of people actively looking for work and doesn't account for discouraged workers — those who have given up the search. What about the number of people with jobs? The Conservatives often say "more than 1 million net new jobs" have been created in Canada since the depths of the global recession. Is that true? The latest Statistics Canada figures show 17,833,200 people had jobs in March, up from 16,743,800 in July 2009, the recession's low point. That's an increase of 1,089,400 jobs. So on that score, the million-job claim is accurate. Canada edges out Germany to claim top spot in the G7 when it comes to the percentage change in the number of people with jobs between mid-2009 and the end of last year. Straight job numbers don't always provide the best reading of a country's economic performance, since they don't account for population growth, said BMO chief economist Doug Porter. "Canada tends to have some of the strongest population growth in the G7," he said. "You would expect Canada, over time, to have some of the better overall employment growth figures, simply because we have the strongest population growth." Paul Ferley, assistant chief economist at RBC Economics Research, agreed straight job numbers are important, but they don't always tell the full story. "There's value in terms of quoting that number. I think it does give an indication in terms of what direction the economy is going in and how quickly, looking at monthly gains in employment relative to past performance," he said. "So I think it does provide a fairly good gauge in terms of what's happening in labour markets. "The employment rate does have the advantage that it's trying to control for population growth, as well, and sort of introduces a further refinement to the data to put a better handle in terms of what's happening with labour markets." So which indicator best shows how Canada's economy compares to the rest of the G7 — the employment rate or straight job numbers? Both, say the experts. "I actually don't believe any one figure can accurately capture how an economy or even a job market is performing," Porter said. "I think you have to basically look at a number of measures." Canada is first in the G7 if you look at straight job numbers, but fifth in terms of the employment rate. That's why the government's claim contains "some baloney."